Zaaresque (f. by Kaphero). Winner at 1400m in 2016-17, 2d MVRC Fisher & Paykel P.
Hera's Revenge (f. by Smart Missile). Placed at 3 in 2016-17 in Aust. Sondaica (g. by Kaphero). Placed at 3 in Aust. Tigresque (Hold That Tiger). 2 wins. See above. Wildcat Strike. 3 wins to 1400m, 2d MRC Bint Marscay 2YO H.
Rowdy Belle. 2 wins-1 at 2-at 1100m, 1300m, 2d MRC Jim Conway 2YO H.
Whisper. 2 wins at 1400m, 1600m in Aust. Doctor Hush. Winner at 1500m in Aust. All Spirit. Winner at 1000m in Aust. Gilago. 7 wins from 2000m to 3000m, A$165,950, to 2016-17, MRC Le Pine Funerals H.
TIME OFF (Night Shift). 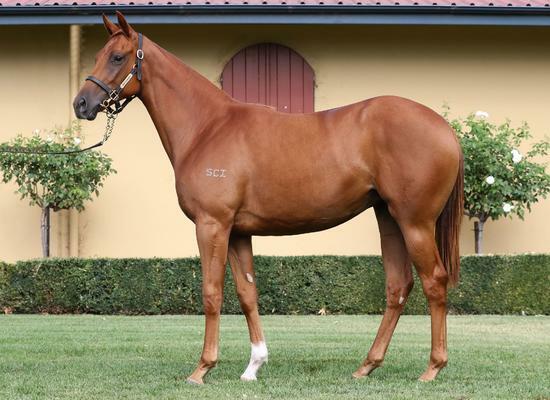 4 wins from 1600m to 2400m, A$290,250, Newcastle Gold Cup, Gr.3, AJC W Forrester H., NSW Tatt's RC Little Bay H., 2d STC Parramatta Cup, L, VRC Sidney Myer H., Illawarra TC Kembla Grange Cup, STC Diggers Restaurant H., 3d VRC Queen Elizabeth S., Gr.2, STC Canterbury Cup, Gr.3, Bendigo Cup, L, AJC NSW Leagues Club & Maroubra RSL Club H., 4th AJC Australia Day Cup, L, City Tattersall's Club Cup, L.
GRANDILOQUENT (Grand Lodge). 7 wins from 1850m to 2400m, A$270,800, NSW Tatt's RC Tattersall's Club Cup, L, AJC Continuous Call Team Peter Pan H., STC Schweppes Sparkling Mineral Water Welter H., AJC Dyonics H., STC Escape to the Races H., 2d AJC Great Photos by Canon Welter H., Seppelt Wines Welter H., El Alamein Memorial H., STC Ingham's Love'em H., 3d AJC Australia Day Cup, L, 4th STC Christmas Cup, L.
Sound. 9 wins from 1550m to 3050m, A$165,603, SAJC Blackfriars H., VATC Slixpix P.H., AJC Sebel of Sydney H., SAJC Robot Printing H., STC Penrith H., Boasting H., 2d AJC Alexander MacKellar H., STC Girls Day Out Welter H., 3d Oakbank RC Yalumba Classic Hurdle, STC Young Brolga H., Horizon at Mission Beach H., Spice Girls Tribute H.
Norteno. 5 wins from 1300m to 1600m, A$110,870, AJC Tie the Knot H., BRC Driver Recruitment P., STC Rosehill Gardens Event Centre H., 2d STC Baird Institute H., 3d AJC International Passport Day H., Penrith Panthers H.
Stentorian. 3 wins from 1500m to 1800m, BTC Lexus IS250 H.
Recruits. 2 wins at 1900m, STC Dundas Valley Rugby Golden Oldies H., Australian Bloodstock Agency H., 2d STC Peter A Lawson Memorial H., Members Reserved Seating H., Tooheys Illawarra Cup, 3d STC Young Members Cruise H., 4th City Tattersall's Club Cup, L.
SONOLIA (Sound Reason). 8 wins. See above. Perlia Bay (Kingdom Bay). 5 wins-1 at 2-from 1100m to 2100m, Waikato RC BMW Corporate Dinner H., 2d ARC Auckland Classic, Gr.1, Soliloquy S., L. Producer. Kim Hostess (Kingdom Bay). Winner at 2, WATC Hocking 2YO H., 3d WATC Queen's P., L, 4th WATC Supremacy S., L. Producer. RESONARE (Centaine). 6 wins from 1200m to 1600m, NZ$88,675, WRC Thompson H., Gr.3, Marton JC Rangitikei Tavern H., 3d ARC Easter H., Gr.1, Manawatu RC DB Draught 1600 H., L.